And wondered what in the world that meant? According to Cameron Delaney in the eHow article “What is French Milled Soap?”, French milled soap is a commercially manufactured product that is created when large stainless steel rollers crush pre-made soap bits together in order to extract the glycerin from the soap. The end product is a hard, uniform bar of soap like you would get in a semi-nice hotel. I like that they call it “French” milled to make it sound extra special. It’s from France: ohh, la, la. Normally, I would buy into that. I mean, I bought Meaningful Beauty because the guy who created it had an awesome French accent, but in the case of soap, French doesn’t necessarily mean better. Hand milled soap is the handcrafted equivalent to French milled soap, except that the maker doesn’t have the luxury of a giant steam roller. But, be sure to pay attention to how much of the soap block you have left before you actually do leave a part of yourself (your fingertips) in the soap base. That’s never a good idea…Yuck. There are two (probably many more) schools of thought when it comes to melting the soap. My personal favorite is over a double-boiler. You can purchase an actual double-boiler or, if you’re like me, you can rig one up with a bowl (stainless steel and not aluminum) on top of a large stock pot. 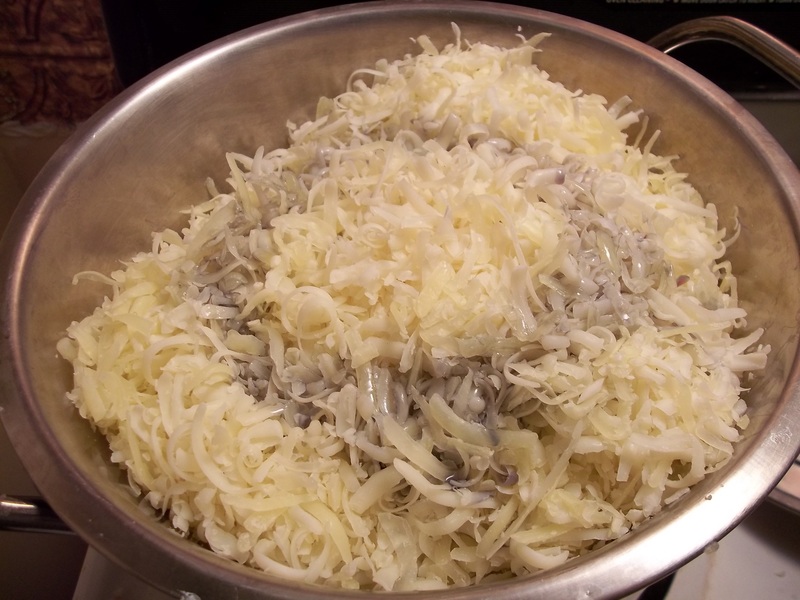 You add the soapy shreds to the top bowl with a small amount (usually about 1/4 cup per 8 cups of soapy shreds) of liquid while the water underneath boils. 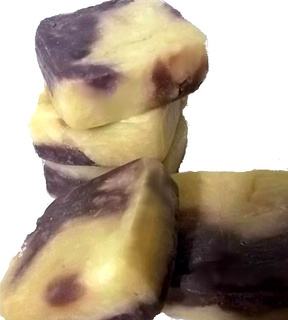 This creates a gentle heat that melts the soap evenly. 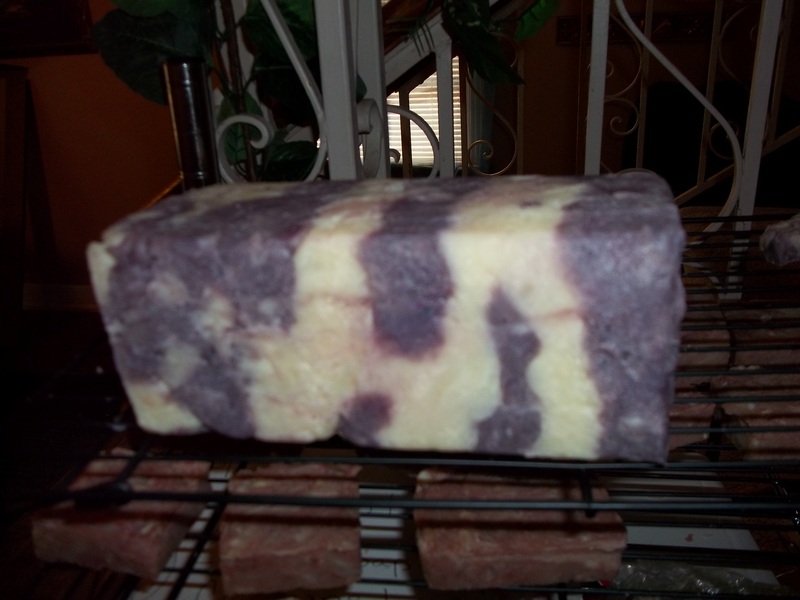 In the case of this soap, the liquid was a hibiscus and pomegranate herbal tea. When I first brewed the tea, it was a very bright red, but once it met the soap it turn slightly purple. It was still pretty, but not exactly what I wanted. Next, comes the stirring. 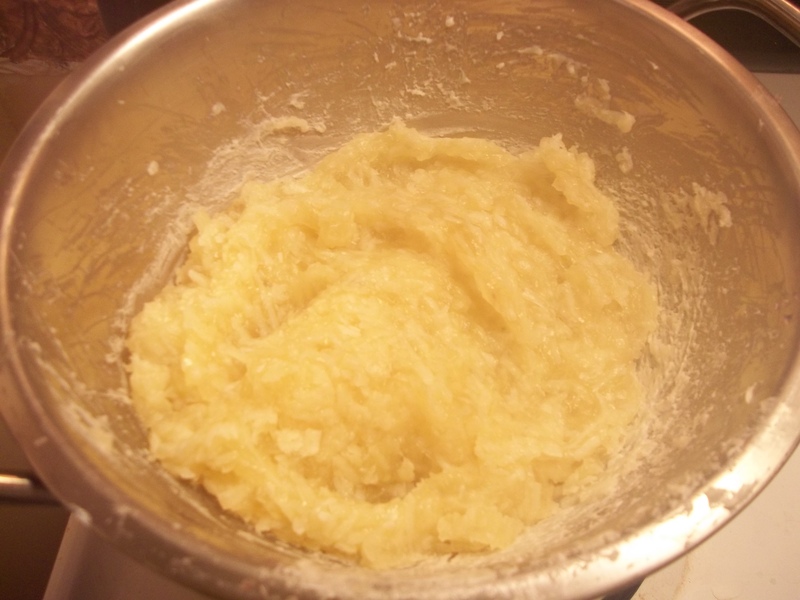 Every few minutes the soap mass needs to be stirred to insure that the unmelted soap on top gets a little of that steam bubbling from the bottom.You know you’ve stirred enough when the soap looks like slightly lumpy mashed potatoes. This takes about 30 minutes. Now doesn’t that look like mashed potatoes? At this point, it’s time to add fragrances or essential oils. This soap received a nice tangy pomegranate scent to match the tea I added earlier. 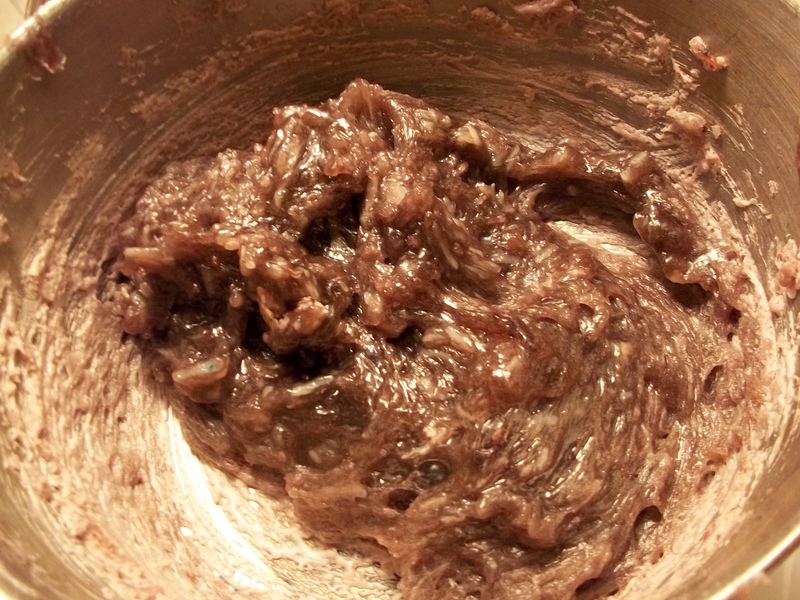 I then halved the batch and added purple colorant to the second half. Since it wanted to be purple I decided to help it fulfill its destiny. Then I added the soap in scoopfuls to a lovely, professional, expensive mold…an empty milk carton. Hand-milled soap is always a little irregular in texture and this soap was no different. I had to trim the edges and straighten up the sides to make the soap presentable. French Milled soap may have a fancy name, but hand-milling creates soap with added health benefits and that wins my vote every time. Very superb info can be found on this website.